Probably the strongest characteristic I know that is shared by successful entrepreneurs is the ability to take something complicated and turn it into something simple. People with this successful trait are able to listen to partially related conversations, disjointed argument, complicated ideas other people are struggling to put together, and see the big picture before boiling it down to a simple conclusion. Perhaps they describe the essential idea simply, or distill it to 2 or 3 important steps, that encompass everyone’s thinking into a simple actionable idea or plan. The second strongest characteristic amongst successful entrepreneurs I know is that they are able to combine their ability to get to the root of the issue and then, with clear leadership, turn it into a success factor for their company. This may be as simple as subtly taking over the conversation whilst allowing people to take the glory, or shifting mindsets so that the required daily actions seem so small and actionable. They do this in such a way that everyone understands the issue and the solution, everyone feels included, everyone understands the clarity of the objective, and everyone feels happy to contribute. In talking to these successful entrepreneurs that I admire, I find that they come from all sorts of backgrounds and are in all sorts of industries, even including the not-for-profit industry. So it’s not all about making the profit, it’s about the clarity of thought and leadership that brings success to the venture. In talking to these entrepreneurial leaders, I have discerned 5 areas of focus for them. Number 1, they look at niches, and create value for that niche. In sales, they find a niche that they get to know well and they solve particular problems for that niche. In management, they look at their team as a group of different specialisations, and while bringing them together, they seek the special requirements of each specialisation. Where they can, they use a niche to help another niche. As leaders, they realise that in order to understand confronting issues and find some simple action steps, they need to know the problems of a particular niche. If you don’t serve a specific niche, you can’t see their painful problem, and you can’t solve the pain for them. Once they niche down their audience, entrepreneurial leaders create high value solutions to solve that particular pain. It’s not just a patch, it’s not just a way to get it off the agenda so they can concentrate on something “more important”. They really use their full skill and creativity to ensure the problem is resolved forever to the satisfaction of the group of people. This means that in sales they can charge more for their solution because their niche audience hears “that’s about me” and sees “that will solve everything” and they will pay for that valuable experience. In leading the company, people see the value they receive in working there, understand that “their” problems are getting focus, and they “buy in” to the experience as employees. Number 2, they really get to know their audience. Once they see groups of people in niches – interrelated or not – entrepreneurial leaders find it easier to reach that group. They are able to conduct research on the group to know what really affects them and what matters for that group. Take a marketing example. Once they know what niche they serve, they know how to contact them. If you attempt to market to everybody, then how do you know where to reach them? On the other hand if you serve women who want to lose weight, you can find out where they hang, virtually or physically, what magazines they read, what websites they frequent, and market to them specifically. In the same way, information about groups of people in the company, or the Board of Directors, or suppliers and other stakeholders, allows you to meet them where they are at, create high-value offerings especially to them, in ways that you know a particular group will respond to. Number 3, they talk about being transformed. They don’t talk about their idea, or how their idea will affect results or even people. They talk about how things will change for the better. They sell the brighter future. Their message is not about process or method or idea, but about how you, specifically you, will get a better outcome. For example, which of the two entrepreneurial leaders would you follow or buy from? Who cares about what how many years’ experience you have, or what’s in your strategic plan? People care about improvements. Number 4, they have a system. Many managers I know hate new things. A new employee means a period of training and getting them set up. A new customer means having to get to know them and maybe even recreating the product for them. These things mean stress and more work. However a successful entrepreneurial leader has a repeatable system. They create a set of processes when the problem and solution first occur, and they tweak it until the processes becomes a system that they can roll out over and over again. This means that they spend their time doing the back-room processes once, and then they spend the rest of the time productively creating value. Number 5, they find time to take it all in. Okay, without the first four areas of focus, this might be hard to do, but it is critical in the overall picture because without time to relax and take it all in, you will not find the ability to niche, to get to know the audience, to understand the change required, and to create repeatable systems. Most of all, a successful entrepreneur creates, so without time, you cannot create and get new ideas. When you make all 5 areas of focus a priority, you will find the time to take in the bigger picture. So tell me what you think. If you are reading this on my Facebook page, comment with your experiences and we can start a conversation on how you can be a successful entrepreneurial leader. Or better yet, go over to teikoh.com and leave a comment by this article. While you are in my website, don’t leave without signing up to get these free and value-driven entrepreneur’s tips, tools and resources sent directly to you every week. 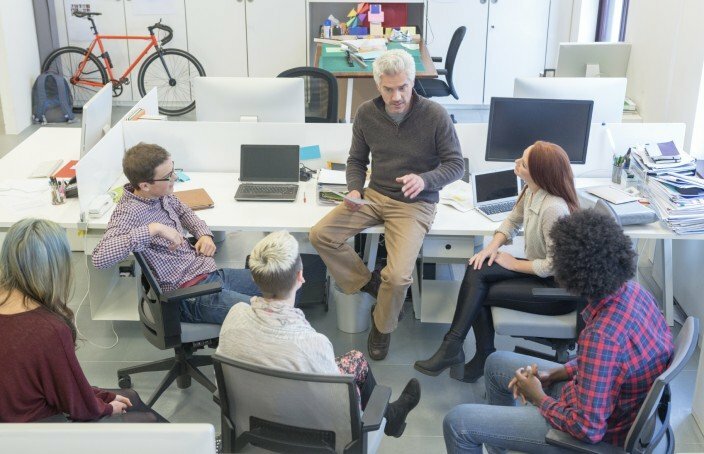 How Do You Build A Great Corporate Culture?